Nearly a year ago, we told you the story of a Chinese flight attendant, who was allegedly killed from a shock she received when she answered a call on her Apple iPhone 5. Over the next several weeks, we passed along reports about people who were severely injured from a shock they received by merely touching their iPhone or iPad. If there was one common thread that ran throughout these experiences, it was that these people had third party chargers on their devices. Apple tried to get these third party chargers "off the streets" by instituting an exchange program and also by educating consumers. But go into any pharmacy in the U.S. and you will see the Chinese made chargers, priced low enough to entice buyers. 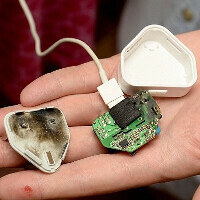 These cheaply made chargers, which do not qualify under the Made For iPhone program (MFi), are a danger to your phone as well as your life. These third party chargers cause damage to a component on an internal logic board that deals with the battery. 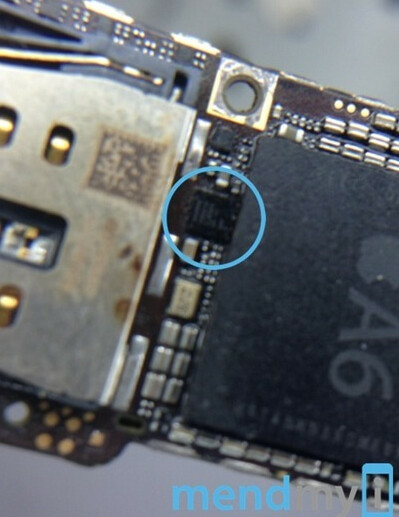 This component, the U2 IC chip, controls the recharging of a battery on the iPhone 5. The cheaper Lightning knockoffs burnout the chip which means that once the battery is out of power, your phone is dead. Even when a brand new power cell is placed into an iPhone 5, once the battery life hits 0%, the cell cannot be recharged and the phone is essentially bricked. The problem is that the third party chargers do not regulate the charging mechanism inside the phone, leading to the release of excessive voltage that can damage the chips inside the device. Replacing a fried U2 IC chip can cost over $100, so next time you reach into the bin to pick out a cheap charger, remember that the money you save on purchasing the knockoff part won' be enough to cover repairing the damages caused by the third party charger. And of course, there is the chance that your life is in danger too. For a few bucks more, you can purchase the Apple certified part, keeping you and your phone safe. Simply stop buying them, problem solved. Oh thanks for the heads up. I was previously planning on picking up a couple after reading the article on how they could kill you. I agree with you, people really should stop buying iphones. I....agree...with...YOU. I feel dirty. I need a shower. Yes, iphones are, comparatively speaking pointless. Holy crap, we are really in synch today. Glad to see you've finally come to your senses. I would like to be the first to welcome you back to reality! LMAOOOOO, not the iPhone, the iHater SMDH. Pointless SMDH. How about a serious answer then. "Stop buying them" is not a solution. When Ford had the problem with the brake reservoir leaking onto a hot wire and causing the vehicles to catch fire (the Explorers IIRC) their response wasn't "derp derp stop buying them", they fixed the problem. Continuing to sell a product they KNOW can be fatal if not used with " official" equipment is negligent, immoral, and criminal. I like to call Ford Explorers "Ford Exploders"
First On Race Day Goes both ways. Ford rebuilt their brand, their new lineup is highly rated now. When you buy a car that requires premium gas, you don't put regular into the tank. Enough said. Luckily in Europe we have high quality petrol. North American "premium" is still worse than European "regular"
Hmm, I didn't know electricity came in premium and regular. Also, cars that take premium fuel are designed to take regular in a pinch. They're not intentionally designed to reject regular gas and potentially explode. All the excuses in the world can be made, but it is pretty cut and dry that the only reason Apple uses a proprietary charging standard is for money. Nothing like selling more proprietary accessories and further ensuring your customer is stuck in your world. Yup. Who gives a s*** if a few people die, right? They sold a few more OFFICIAL apple chargers and the dead weren't even Americans anyway, right Tim? Disgusting. But if you did it wouldn't explode. It is not an Apple problem, so what would they change? If you bought cheap tires for a Ferrari, and suffered a blowout after a mile, would you call Italy to rage at Ferrari? If you have nothing better to do than spam every Apple article with ignorant hate, might I suggest a hobby, apropos to your mental faculty, like competitive Shoots and Ladders or collecting marbles? My analogy wasn't the best, I'll admit, but to my credit I literally cannot think of another company that is doing what apple is by knowingly selling a dangerous product and literally blaming the victim. But the thing is is that regular USB cables can't have this defect. It's Apple who wanted to make it hard to hack and it's screwing the users who believe that if something is on the store then it won't kill you. Of course the chargers should not be sold at all. How is this not an Apple problem? The iPhone is the only phone made that has this problem, and can only be avoided by purchasing yet another product from Apple. No other phone I've ever heard of has this issue. And yet another automotive analogy that means nothing. What if you purchased a top brand and have a blow out? The issue with that is the tire, not the car. The issue with the charger is the iPhone. They don't get it. They are so blinded by their ravenous loyalty to apple that something as simple as your point (and everyone else who has a brain and has been saying the exact same thing for hours) will always be interpreted by them as "duh u r gelus of apple bcuz they have money! You secretly love apple!" They absolutely redefine the word "ignorant". Except he doesn't have a point. You can use any lighting cable and be fine as long as it's certified. It doesn't have to come from Apple broseph. Rumors, speculation, and allegations that never turned up any evidence that Samsung knowingly sold a defective and dangerous product and blamed the victims. Seriously, are you learning disabled? That is a legit question, I'm not trying to be mean, but at this point that is the only conclusion. Because you clearly did not even read your own link. Dude, if you have so much of an issue with Apple, and they are so horrible, and disgusting to you, handle it. All you do is sit on PA, and who knows how many other site b***hing about Apple. I'm not joking now dude, I'm being serious and not trying to insult you, but we don't really care. Telling us about Your issues with Apple really is pointless man, we can't do crap about it. You need to take a drive, or flight to Cupertino, and deal directly with Cook & Co. You're starting to sound like FinalFlash, just spewing hot air, while Apple continue to surge forward raking in billions. Honestly, you sound jealous, bitter, and hateful of their success. Like I said, all jokes and insults aside, man you need to log off and deal with them. Those of us who like Apple, are still gonna buy Apple regardless of your rants. Those of us who hate Apple, weren't gonna buy Apple any way. In response to post 27, this is a serious answer dude. Once again, pointless. I've already dealt with it. I don't buy their outdated dangerous novelty toys. Seems like a much more reasonable response than wasting time and $$$ having a sit down with Cook. Oh, and I can't afford it. Doesn't he charge like a half million for a cup of coffee? What a pointless post. Your suggestion is literally the dumbest thing I've heard all day. But it's only noon, you have all day to top that.